Most tourists visiting Malta may head straight from the airport to the capital city of Valletta. If you want to wander away from the crowds, you can swap the capital’s cold, imposing architecture for the small and warm community of Sliema. This tiny coastal town is a multicultural hub where locals and expats mix their lifestyles and values to create a positive atmosphere, an entertaining nightlife scene, and mouthwatering cuisine. 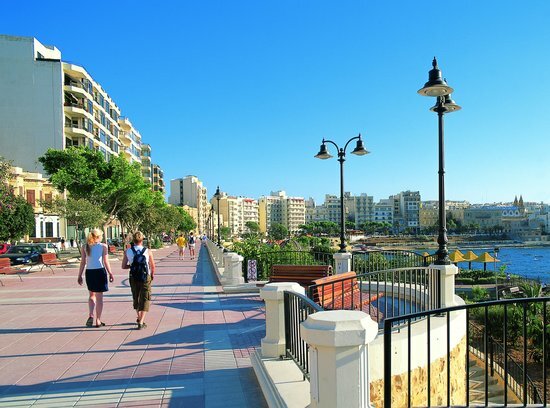 Your first trip to Malta should start with a peaceful walk on the seaside promenade in Sliema. This 2km-long strip unites the neighborhoods of Qui-si-sana and St. Julian’s and offers gorgeous, unhampered views of the open sea. A short stroll in this area allows you to take in the Maltese breeze, observe the frenzy of daily life in Malta and admire the blend between archaic and modern architecture. You do not need a local guide or a tourist office to enjoy the beauty of this seafront promenade. While the seaside pathway serves as food for the soul, the opposite side offers countless shopping opportunities. Local shops alternate with famous brand retail stores to present you with a wide variety of the latest fashion trends, chic accessories, and handmade souvenirs. Whether you are a shopping addict or you just want to get a small memento from your holiday in Malta, this is the place to visit. Your best choice might be visiting the Point Shopping Mall located in the historical area of Tigne Point in Sliema. 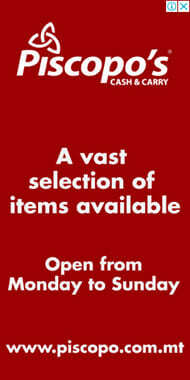 This venue is one of the biggest commercial centers on the island and the go-to destination for your shopping needs. Both a walk on the waterfront and a hectic shopping spree can leave you hungry. You do not want to continue your holiday in Malta on an empty stomach! Fortunately, as long as you are still in Sliema, you are in the right place for getting a taste of the local gastronomy. Sliema is packed with restaurants that serve enough culinary options to fit even the strictest diets and the pickiest eaters. From Maltese cuisine to the Mediterranean diet to fast food and Asian delights this small area has them all. Whether you are an avid carnivore or a scrupulous vegan, you can get a healthy, delicious meal at one of the many eating places in Sliema. If you are more of a night owl type of person, you will find Sliema the perfect spot to enjoy the Maltese nightlife scene. This area has several bars and clubs where you can listen to some good music, have a fine drink and dance the night away. Sliema is the favorite hotspot for expats living in Malta. If you want to find out what is like living on the island for a few years, you can find it out from the many outlanders who gather here in the evenings. Hanging out in one of the bars of Sliema can also give you the opportunity of meeting some of the locals and making new friends. Nothing compares to a healthy, relaxing jog by the seaside. Whether you choose to do it early in the morning or just before dinner, running on the Sliema promenade will fill you up with energy and good vibes for hours to come. Many locals, expats, and even tourists choose to exercise on the Sliema waterfront. The beautiful scenery, the wide spaces, and refreshing sea breeze can enhance your good mood and help you see everything from a more positive perspective. History buffs will love to visit some of the iconic buildings of Sliema. A must-see chapel is the Stella Maris (or The Lady of the Sea) which is a focal point in the area for tourists today just as it was for the fishermen over the past 170 years. Sliema developed from a small fishing village in the 19th century to a bustling residential area of more than 20,000 people in the present day. If you want to explore the neighborhood and take in the lifestyle of the locals, you can go on a nice, relaxing walk among its sunlit streets. In Sliema, people live in yellow-stone buildings with colorful shutters that protect them from the scorching sun in the hot summer days. Most of the small shops and grocery stores in the area are family-run businesses where you can exchange some of your travel impressions with the lovely, hospitable locals. A great way to experience Malta is to find out more about the local art and customs of small local communities like Sliema. This tiny neighborhood is home to contemporary Maltese artists and expats that use this scene to showcase their latest creations. From paintings to sculptures to street representations, you are bound to discover plenty of inspirational artistic achievements in Sliema. Also, you cannot miss a walk across the Tigne Pedestrian Bridge, which is laden with padlocks celebrating the loving couples who passed through this area. Similar to most places on the Northern coast of the island there is no sandy beach in Sliema. However, you can still go for a safe and refreshing swim in the sea without leaving the area. 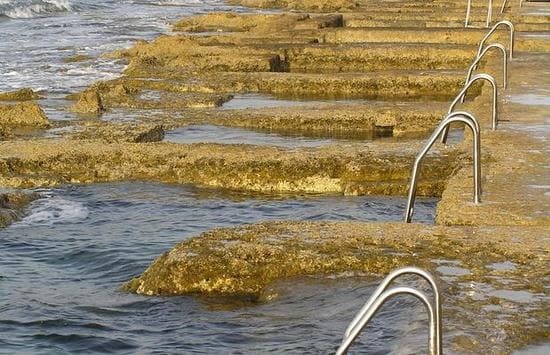 Just underneath the waterfront, you will find a rocky beach with rectangular rock-cut pools that the locals call Roman Baths. Here, you can relax under the Maltese sun without having to battle the big waves of the Mediterranean Sea. 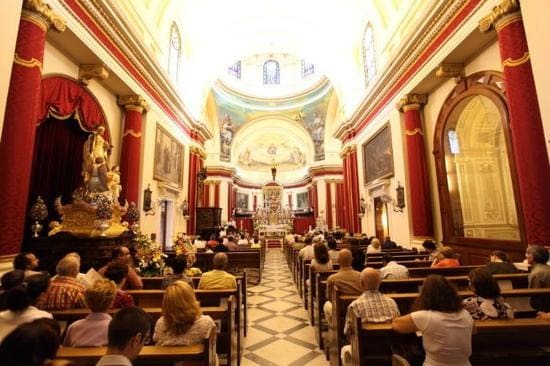 The best way to put an end to your trip to Sliema is with a visit to the Salesjan Theatre. The century-old community venue hosts various cultural events and plays as part of a versatile show program. Here, you can enjoy a live music concert or admire an art exhibit to understand more about the local people and their culture. Sliema offers great opportunities for foreigners who want to live in Malta. This area has a rich history and offers a high standard of living for both singles and families. Many expats have already established in the region, and they praise its excellent location and easy access to schools, hospital facilities and shopping centers. In Sliema you can blend in easily with the local community. The area welcomes a significant number of tourists every year, so it is perfect for opening up a business. Alternatively, you can find work quickly and enjoy the high standards of living in the region.